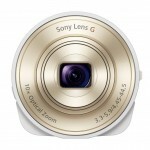 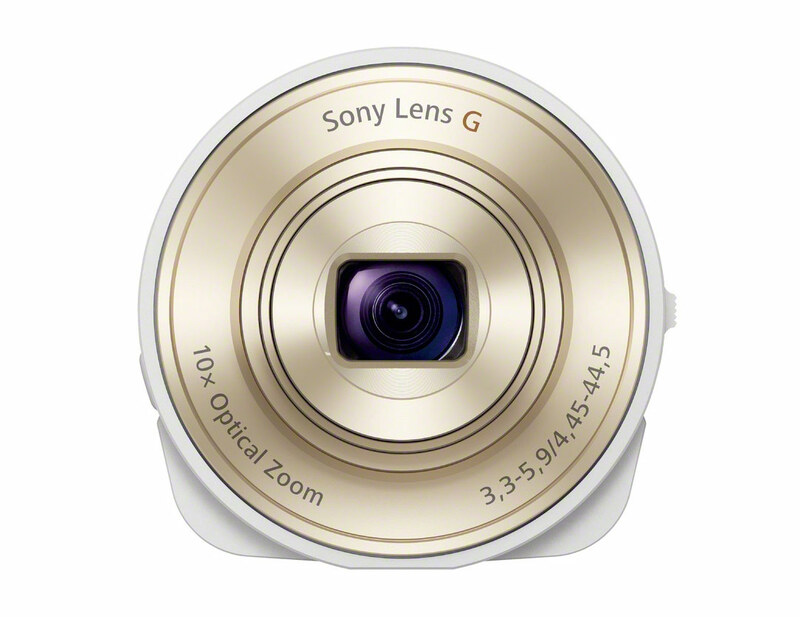 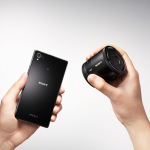 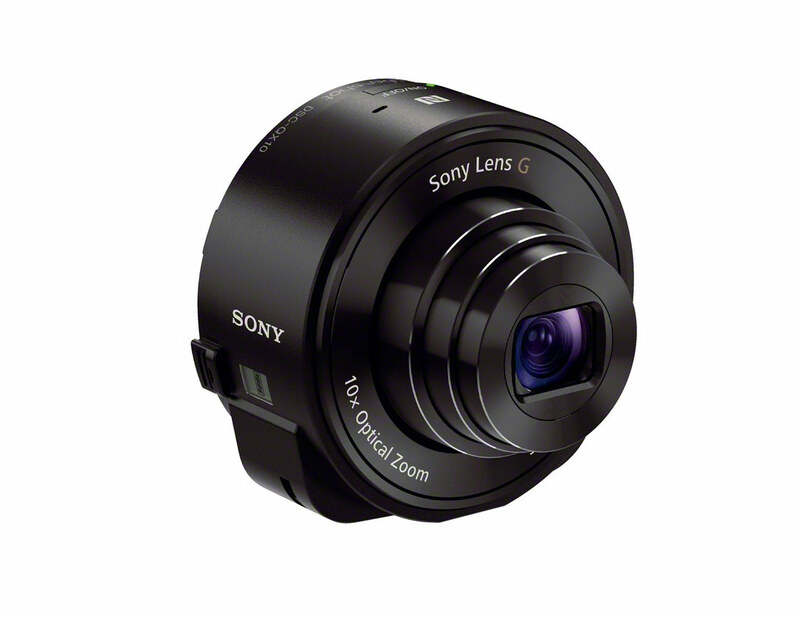 Sony just launched a brand new camera category with their new Cybershot QX10 and QX100 “lens-style” cameras. 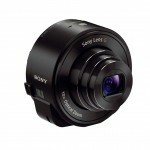 The new QX cameras offer serious camera features and performance in conjunction with your Smart Phone. 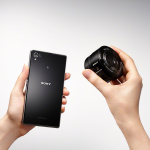 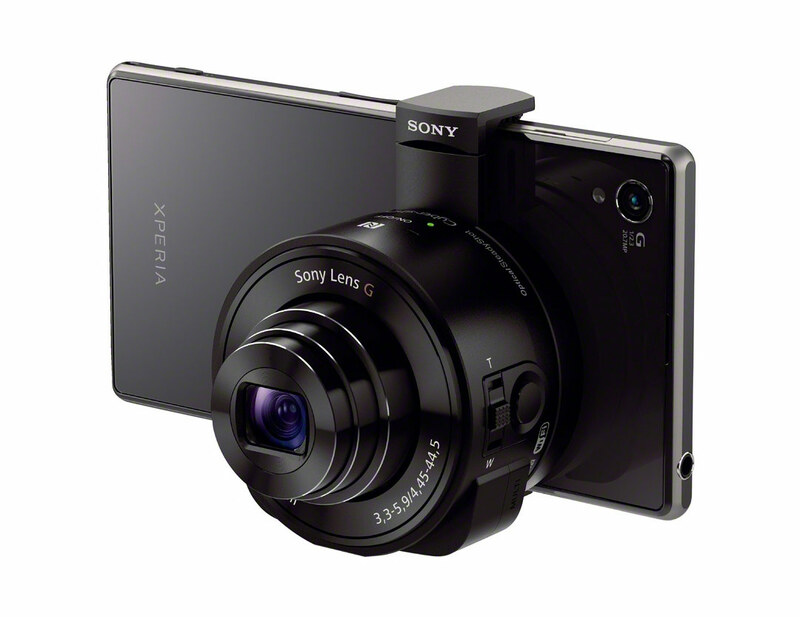 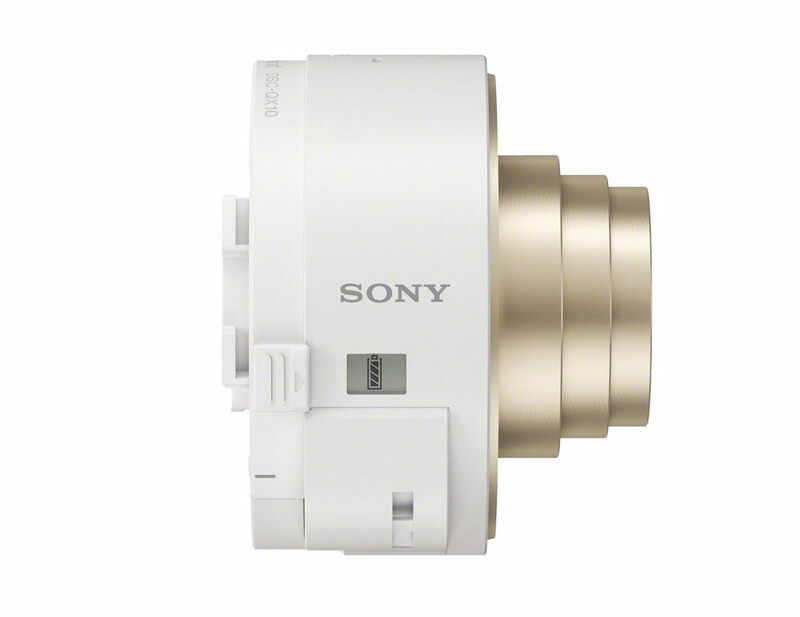 With built-in Wi-Fi, the QX10 and QX100 connect to your Smart Phone via Sony’s PlayMemories Mobile app so you can use your phone as a viewfinder, complete with shutter release, shooting mode controls, movie start/stop, zoom, focus, and more. 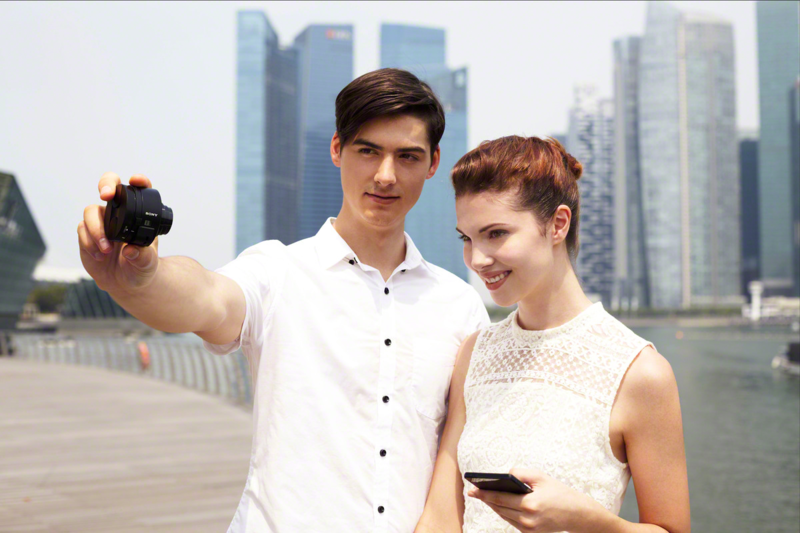 And since photos are saved directly to your phone, you can use all your favorite apps to process and share photos taken with the QX cameras – it’s no-compromise Smart Phone photography! 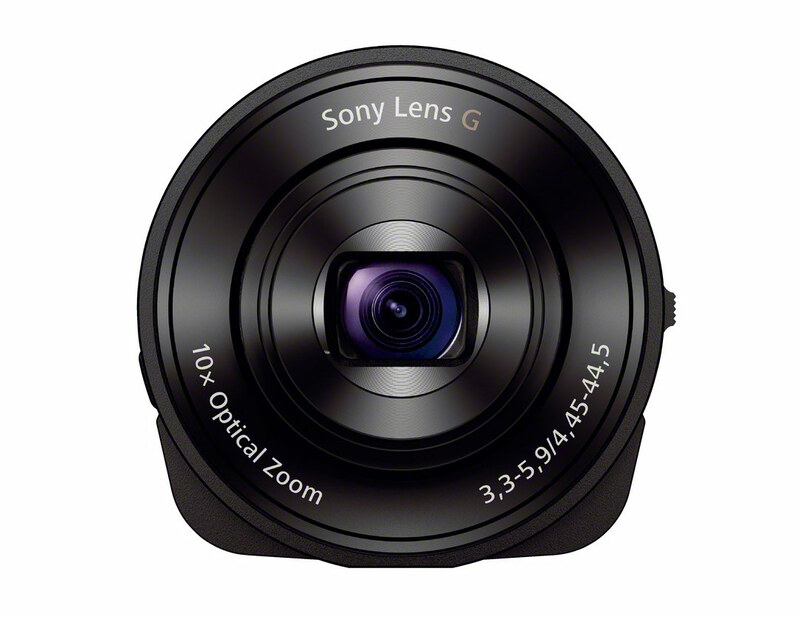 The Sony Cybershot QX100 is basically a lens-camera version of Sony’s revered RX100 II premium compact camera (learn more about the RX100 II). 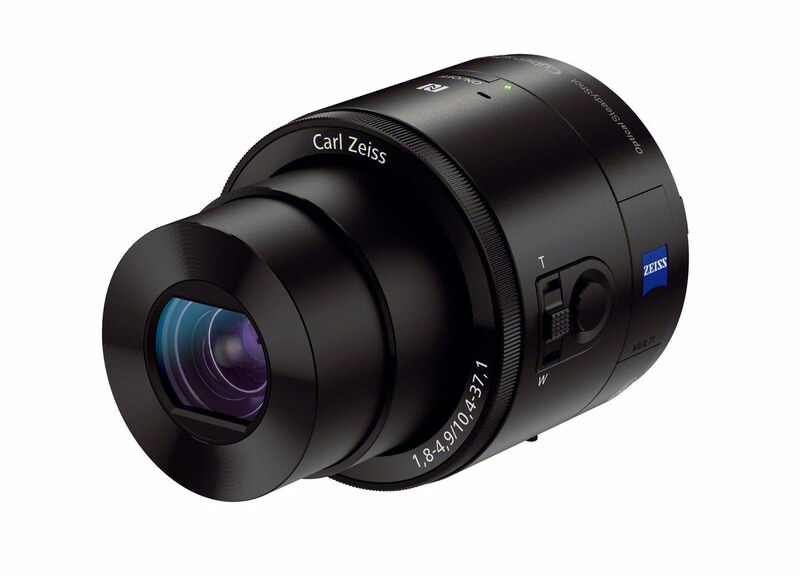 It has the same fantabulous 1-inch 20-megapixel CMOS sensor that makes the RX100 II the best pocket camera on the planet. 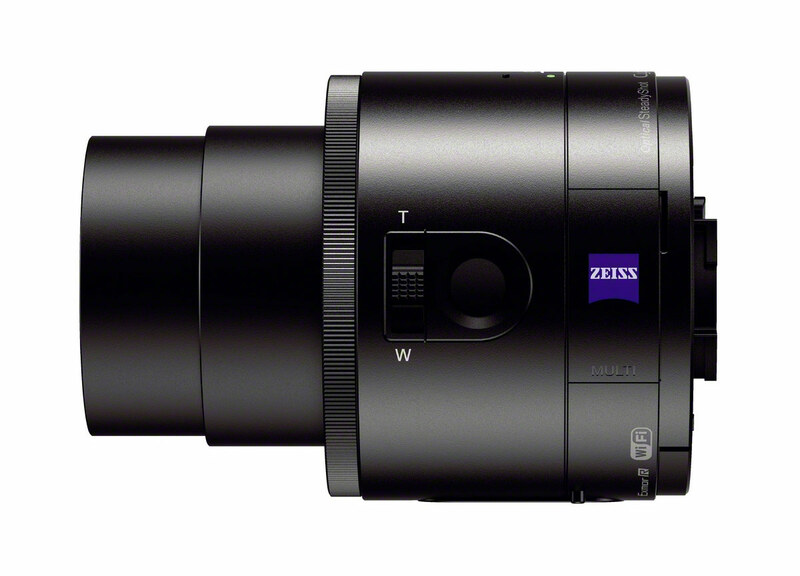 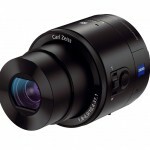 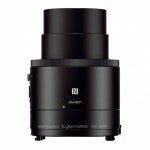 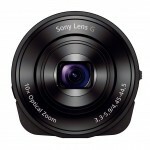 It also uses the exact same 3.6x 28-100mm f/1.8-4.9 Carl Zeiss optical zoom lens as the RX100 and RX100 II. 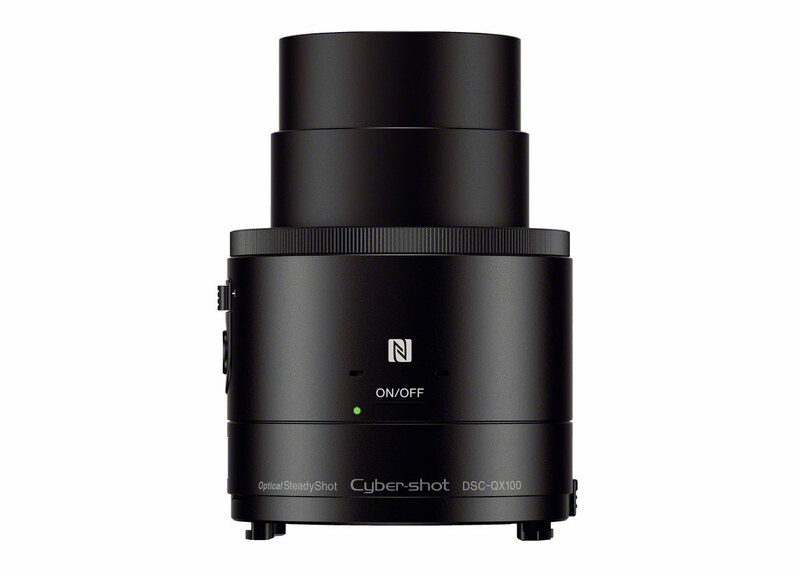 The only things it’s really missing are RAW shooting, full manual exposure control (it does have aperture priority), 60p video, and a pop-up flash. 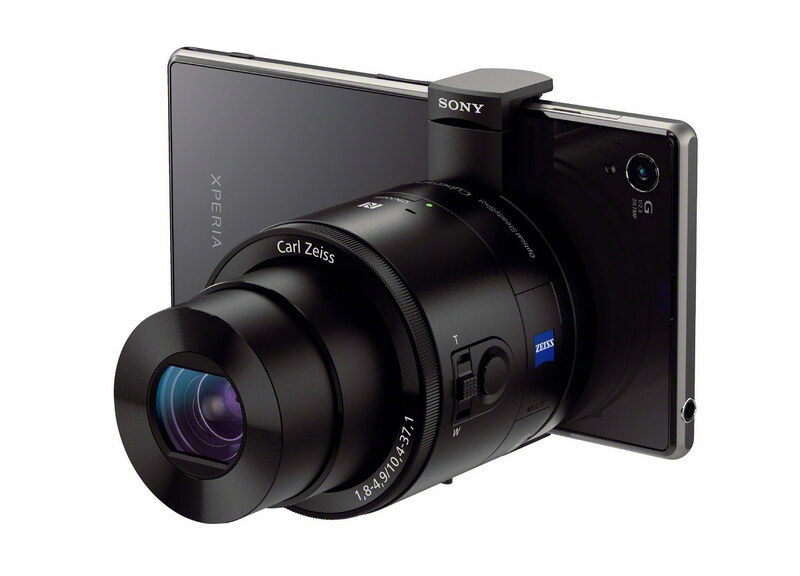 And if you’d prefer dedicated camera controls to messing around with your Smart Phone’s display (I would), the QX100 has its own dedicated shutter release button. 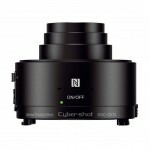 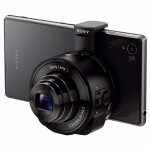 It even has the RX100’s dedicated control ring for manual focus and zoom control. 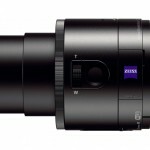 For point-and-shooters and/or photographers who like lots of zoom (that’s me! 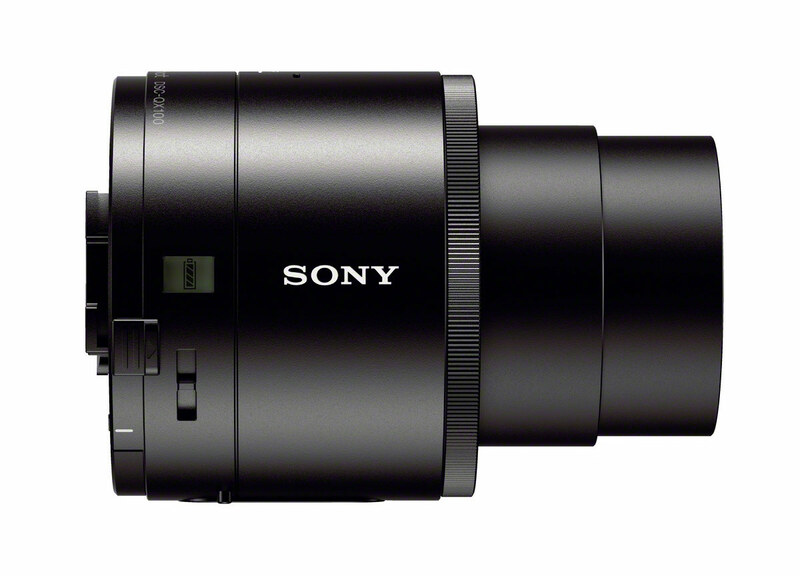 ), the new Sony Cybershot QX10 has an 18-megapixel 1/2.3-inch CMOS sensor (standard point-and-shoot size) and a 10x 25-250mm f/3.3-5.9 Sony G optical zoom lens with Optical SteadyShot image stabilization to keep things steady at full zoom and in low light. 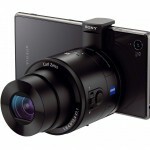 I love the versatility of pocket superzoom cameras with long zooms. 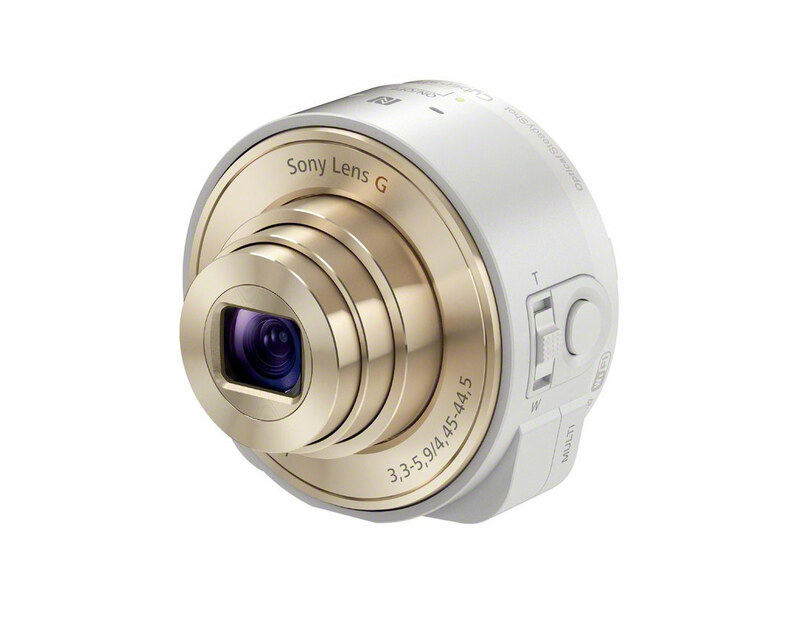 This is the kind of point-and-shoot I buy for myself and I love the idea of being able to add that capability to my Smart Phone. 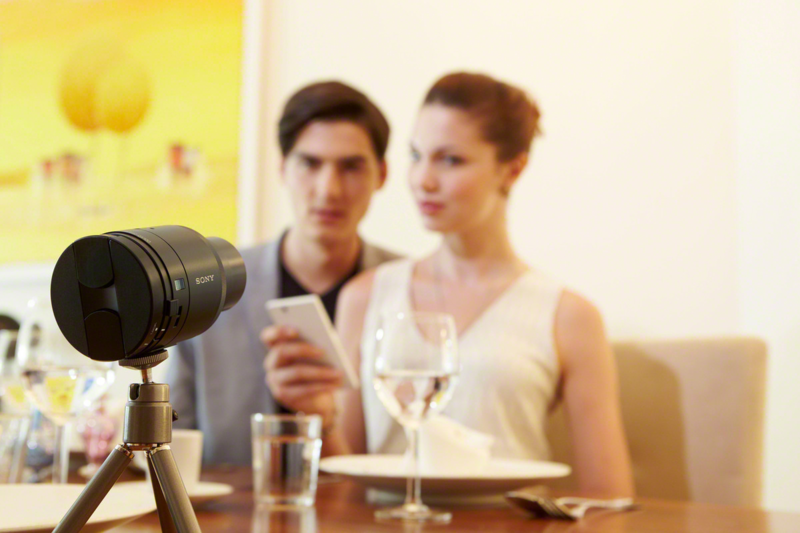 Since the QX10 and QX100 have their own built-in shutter release, zoom control, battery and memory card slot (Micro SD or Sony Memory Stick micro), they can be used independently of the Smart Phone. 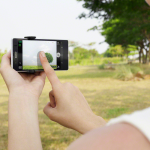 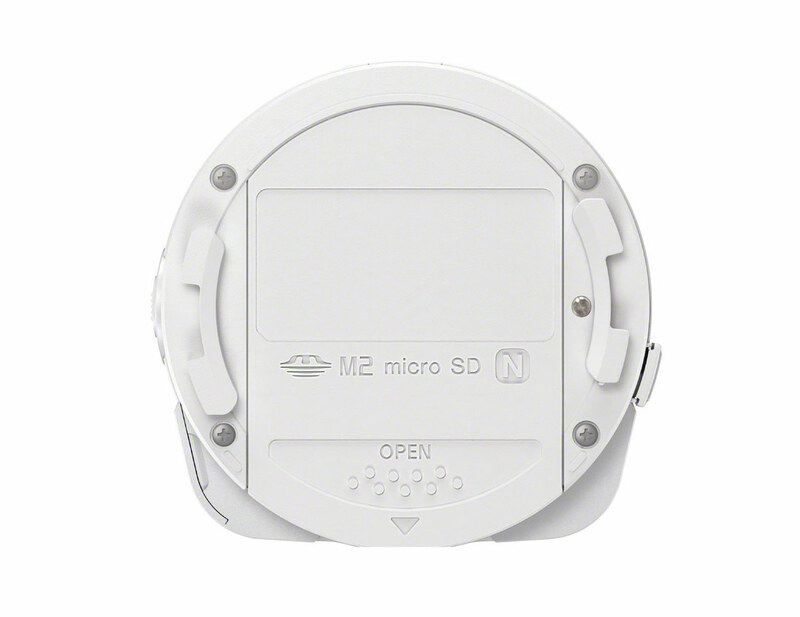 The PlayMemories Mobile app even allows you to use the phone as a remote viewfinder and camera control – great for shooting self-portraits and awkward angles. 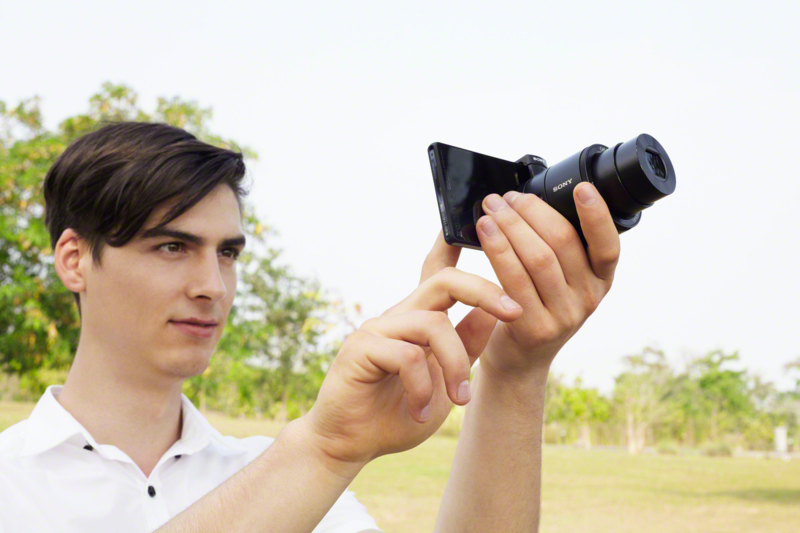 You actually don’t even need your phone to use the QX cameras – although if you’re not connected to your phone you don’t have any viewfinder. 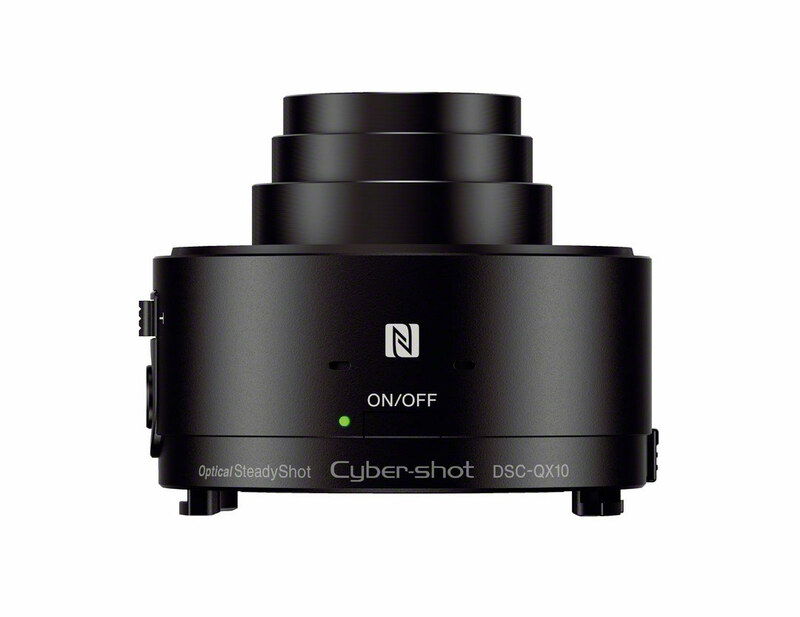 “With the new QX series cameras, we are making it easier for the ever-growing population of ‘mobile photographers’ to capture far superior, higher-quality content without sacrificing the convenience and accessibility of their existing mobile network or the familiar ‘phone-style’ shooting experience that they’ve grown accustomed to,” said Patrick Huang, director of the Cyber-shot business at Sony. 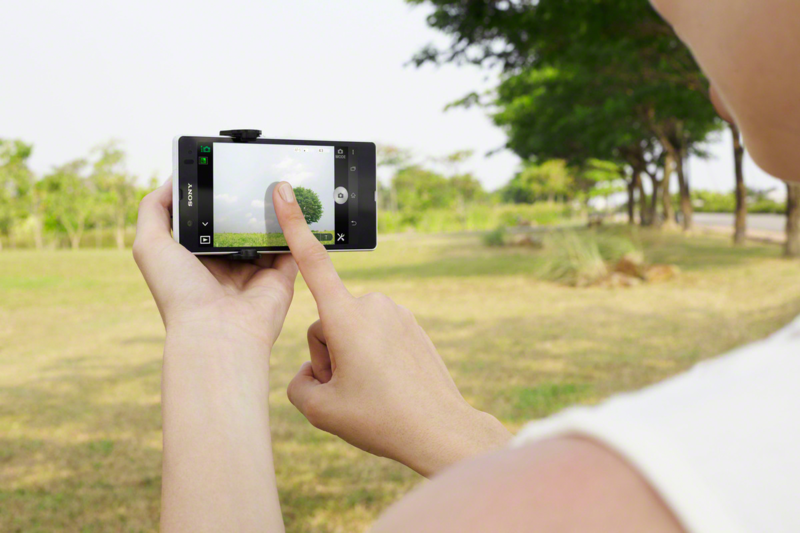 Personally, I avoid using my phone’s built-in camera at all costs. 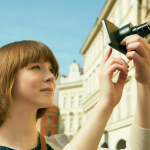 Even though I have a good camera phone (Samsung Galaxy S3), the tiny sensor and fixed lens just don’t compare to even the most mediocre point-and-shoot camera – trust me, if done the comparison. 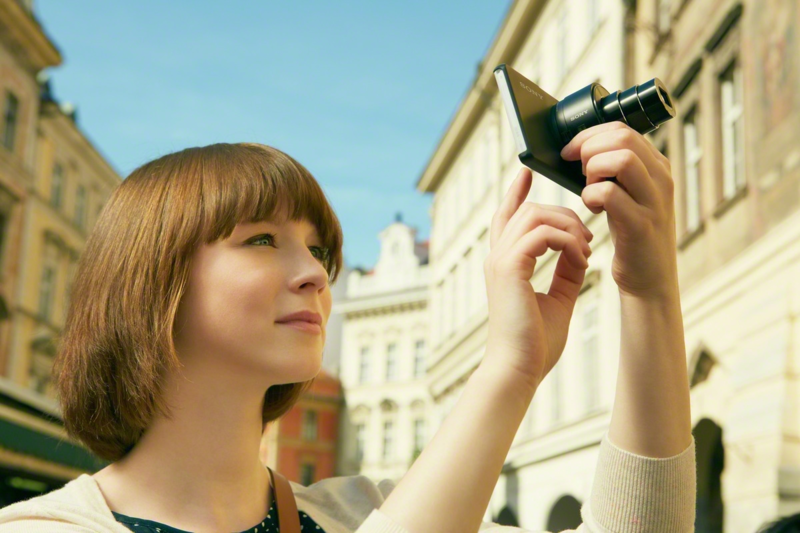 With all the cameras that now have built-in Wi-Fi connectivity there’s really no reason to use the camera in your phone. 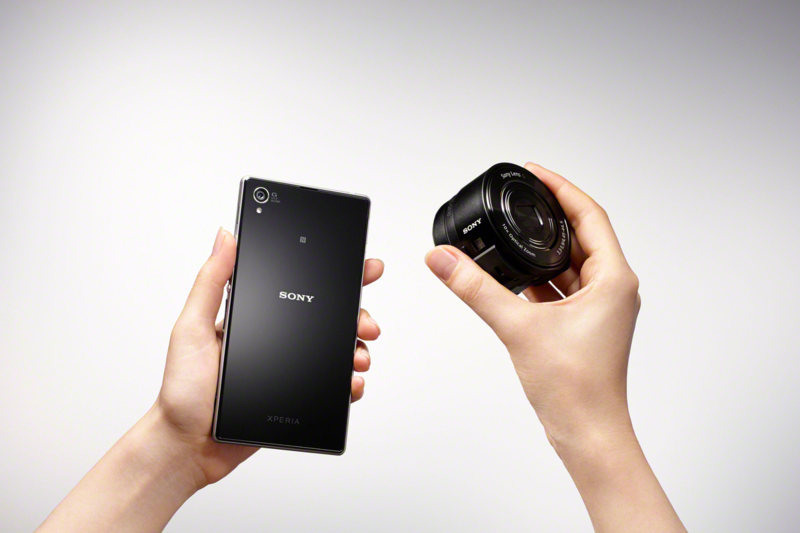 It’s no problem at all for me to carry a point-and-shoot in one pocket and my phone in another. 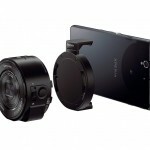 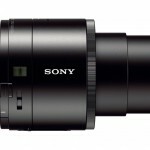 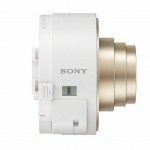 Sony’s new QX cameras take this strategy another step forward. 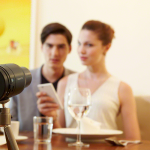 They’re a great example of thoughtful, creative design and offer Smart Phone photographers better quality and control without having to give up any of the things they love about taking pictures with their Smart Phone. 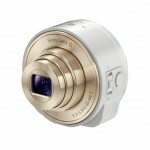 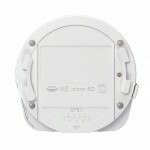 I am expecting the QX cameras to be a huge hit and I can’t wait to try one for myself. 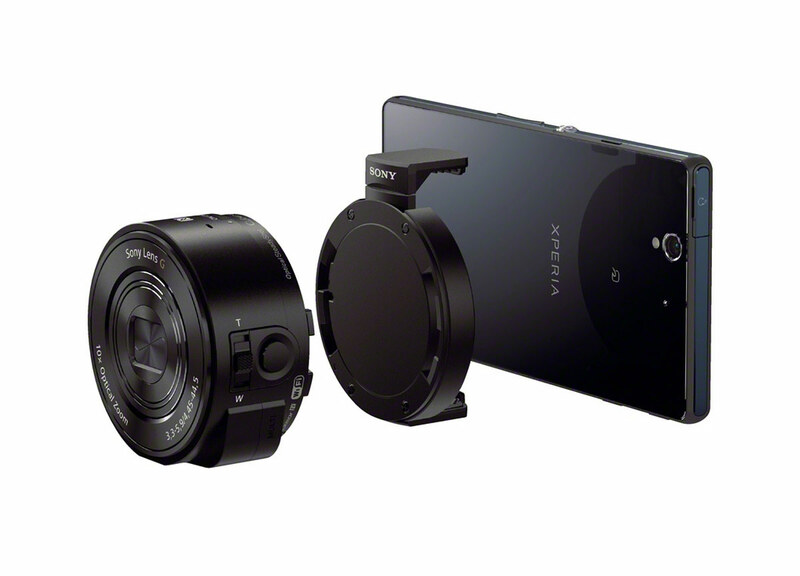 The Sony Cybershot QX10 and QX100 lens cameras will be available in stores later this month (September, 2103). 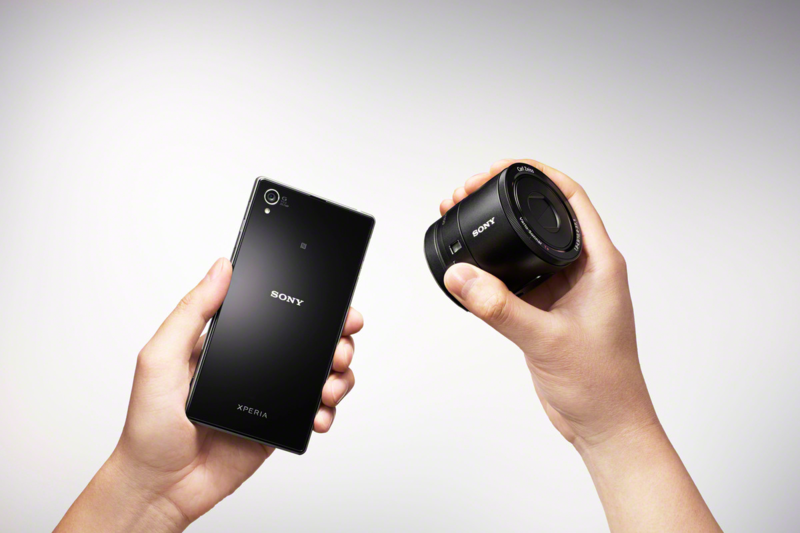 They will sell for US $250 and $500, respectively.